Maifan Stone, also known as “bakuhanseki” is a special mineral rock used in Chinese medicine to treat various skin diseases. It is composed of minerals including but not limited to plagioclase feldspar, orthoclase feldspar, hornblende, and biotite (all four mentioned before are silicate minerals). Maifan Stone contains plenty of micro-nutrient elements, such as calcium, iron, zinc, magnesium, copper, and selenium, all essential to a healthy human body. As a Chinese medicine, it is especially useful in treating skin tumors and ulcers. In addition to that, many mineral water manufacturers in China dissolve a small amount of Maifan Stone during the preparation of their product, meant to enhance the micro-nutrient density in the water. In ordinary cooking, both rice and tea, while being washed, may be dipped with Maifan Stone to increase their effects on health. Maifan stone has been used as a water filtration and conditioning media for shower and bath filters. remove the excessive free radicalsIt’s able to take effective prevention and combating against senile plaques, Parkinson’s, cataracts, arterial sclerosis, cerebral apoplexy, malignant change of cell, etc. caused by the free radicals. Ultrafiltration (UF) is a variety of membrane filtration in which forces like pressure or concentration gradients leads to a separation through a semipermeable membrane. Suspended solids and solutes of high molecular weight are retained in the so-called retentate, while water and low molecular weight solutes pass through the membrane in the permeate. This separation process is used in industry and research for purifying and concentrating macromolecular (103 – 106 Da) solutions, especially protein solutions. Ultrafiltration is not fundamentally different from microfiltration. Both of these separate based on size exclusion or particle capture. It is fundamentally different from membrane gas separation, which separate based on different amounts of absorption and different rates of diffusion. Ultrafiltration membranes are defined by the Molecular Weight Cut Off (MWCO) of the membrane used. Ultrafiltration is applied in cross-flow or dead-end mode. Located in Guangzhou City South China. Professional manufacturer of Air purifiers, Water purifiers, Water dispensers and related accessories. Powerful R&D team with highly qualified designers and engineers . Developing many new models each year . The National Drinking Water Product Health Safety Certification by the Ministry of Public Health of China. 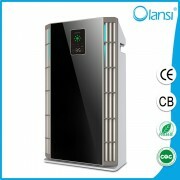 One of the leading companies in the water and air purifiers industry of China. 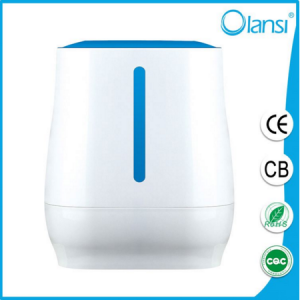 Innovation and persist in All Function, Convenience and Utility, Reasonable Price. 1600 square meters of our new office . 6 qualified employees in the R&D team. 16 sales for domestic market and overseas market. 3200 square meters work shop with about 100 qualified workers. Each product gets through standard technological processes and 100% quality inspected. No defective product will be shipped to our customers. Strict quality standard process for the purchasing of components from our suppliers. very reliable and long time partnership with our valuable suppliers. 30,000 units/month of production capacity. Water purification is the process of removing undesirable chemicals, biological contaminants, suspended solids and gases from contaminated water. The goal of this process is to produce water fit for a specific purpose. Most water is disinfected for human consumption (drinking water) but water purification may also be designed for a variety of other purposes, including meeting the requirements of medical, pharmacological, chemical and industrial applications. 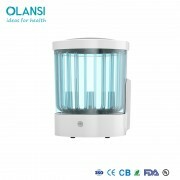 In general the methods used include physical processes such as filtration, sedimentation, and distillation, biological processes such as slow sand filters or biologically active carbon, chemical processes such as flocculation and chlorination and the use of electromagnetic radiation such as ultraviolet light. The purification process of water may reduce the concentration of particulate matter including suspended particles, parasites, bacteria, algae, viruses, fungi; and a range of dissolved and particulate material derived from the surfaces that water may have made contact with after falling as rain. The standards for drinking water quality are typically set by governments or by international standards. These standards will typically set minimum and maximum concentrations of contaminants for the use that is to be made of the water. It is not possible to tell whether water is of an appropriate quality by visual examination. 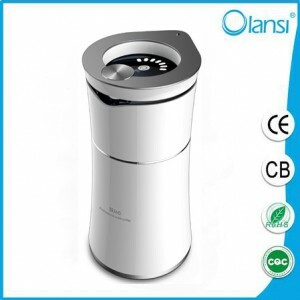 Simple procedures such as boiling or the use of a household activated carbon filter are not sufficient for treating all the possible contaminants that may be present in water from an unknown source. Even natural spring water – considered safe for all practical purposes in the 19th century – must now be tested before determining what kind of treatment, if any, is needed. Chemical and microbiological analysis, while expensive, are the only way to obtain the information necessary for deciding on the appropriate method of purification. According to a 2007 World Health Organization report, 1.1 billion people lack access to an improved drinking water supply, 88 percent of the 4 billion annual cases of diarrheal disease are attributed to unsafe water and inadequate sanitation and hygiene, and 1.8 million people die from diarrheal diseases each year. The WHO estimates that 94 percent of these diarrheal cases are preventable through modifications to the environment, including access to safe water.Simple techniques for treating water at home, such as chlorination, filters, and solar disinfection, and storing it in safe containers could save a huge number of lives each year. Reducing deaths from waterborne diseases is a major public health goal in developing countries. 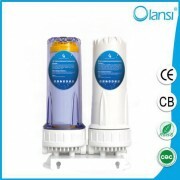 Membrane filters are widely used for filtering both drinking water and sewage. For drinking water, membrane filters can remove virtually all particles larger than 0.2 um—including giardia and cryptosporidium. Membrane filters are an effective form of tertiary treatment when it is desired to reuse the water for industry, for limited domestic purposes, or before discharging the water into a river that is used by towns further downstream. 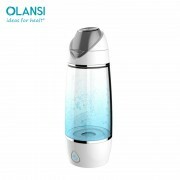 They are widely used in industry, particularly for beverage preparation (including bottled water). However no filtration can remove substances that are actually dissolved in the water such as phosphorus, nitrates and heavy metal ions. Ultrafiltration membranes use polymer membranes with chemically formed microscopic pores that can be used to filter out dissolved substances avoiding the use of coagulants. The type of membrane media determines how much pressure is needed to drive the water through and what sizes of micro-organisms can be filtered out. Ion exchange:Ion exchange systems use ion exchange resin- or zeolite-packed columns to replace unwanted ions. 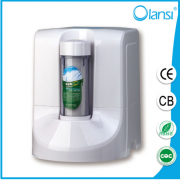 The most common case is water softening consisting of removal of Ca2+ and Mg2+ ions replacing them with benign (soap friendly) Na+ or K+ ions. Ion exchange resins are also used to remove toxic ions such as nitrite, lead, mercury, arsenic and many others. Precipitative softening:13.12–13.58 Water rich in hardness (calcium and magnesium ions) is treated with lime (calcium oxide) and/or soda-ash (sodium carbonate) to precipitate calcium carbonate out of solution utilizing the common-ion effect. Electrodeionization: Water is passed between a positive electrode and a negative electrode. Ion exchange membranes allow only positive ions to migrate from the treated water toward the negative electrode and only negative ions toward the positive electrode. 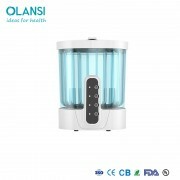 High purity deionized water is produced with a little worse degree of purification in comparison with ion exchange treatment. Complete removal of ions from water is regarded as electrodialysis. 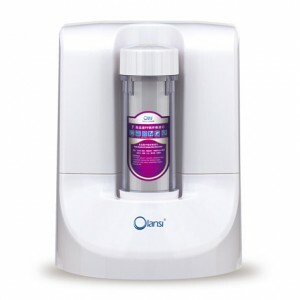 The water is often pre-treated with a reverse osmosis unit to remove non-ionic organic contaminants. Ozone is an unstable molecule which readily gives up one atom of oxygen providing a powerful oxidizing agent which is toxic to most waterborne organisms. It is a very strong, broad spectrum disinfectant that is widely used in Europe. It is an effective method to inactivate harmful protozoa that form cysts. It also works well against almost all other pathogens. Ozone is made by passing oxygen through ultraviolet light or a “cold” electrical discharge. To use ozone as a disinfectant, it must be created on-site and added to the water by bubble contact. Some of the advantages of ozone include the production of fewer dangerous by-products and the absence of taste and odour problems (in comparison to chlorination) . Although fewer by-products are formed by ozonation, it has been discovered that ozone reacts with bromide ions in water to produce concentrations of the suspected carcinogen bromate. Bromide can be found in fresh water supplies in sufficient concentrations to produce (after ozonation) more than 10 parts per billion (ppb) of bromate — the maximum contaminant level established by the USEPA. Another advantage of ozone is that it leaves no residual disinfectant in the water. Ozone has been used in drinking water plants since 1906 where the first industrial ozonation plant was built in Nice, France. The U.S. Food and Drug Administration has accepted ozone as being safe; and it is applied as an anti-microbiological agent for the treatment, storage, and processing of foods. Ultraviolet light (UV) is very effective at inactivating cysts, in low turbidity water. 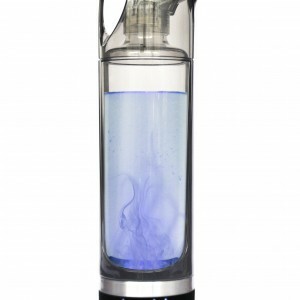 UV light’s disinfection effectiveness decreases as turbidity increases, a result of the absorption, scattering, and shadowing caused by the suspended solids. The main disadvantage to the use of UV radiation is that, like ozone treatment, it leaves no residual disinfectant in the water; therefore, it is sometimes necessary to add a residual disinfectant after the primary disinfection process. This is often done through the addition of chloramines, discussed above as a primary disinfectant. When used in this manner, chloramines provide an effective residual disinfectant with very few of the negative effects of chlorination. Distillation removes all minerals from water, and the membrane methods of reverse osmosis and nanofiltration remove most to all minerals. This results in demineralized water which is not considered ideal drinking water. The World Health Organization has investigated the health effects of demineralized water since 1980.Experiments in humans found that demineralized water increased diuresis and the elimination of electrolytes, with decreased blood serum potassium concentration. Magnesium, calcium, and other minerals in water can help to protect against nutritional deficiency. Demineralized water may also increase the risk from toxic metals because it more readily leaches materials from piping like lead and cadmium, which is prevented by dissolved minerals such as calcium and magnesium. Low-mineral water has been implicated in specific cases of lead poisoning in infants, when lead from pipes leached at especially high rates into the water. Recommendations for magnesium have been put at a minimum of 10 mg/L with 20–30 mg/L optimum; for calcium a 20 mg/L minimum and a 40–80 mg/L optimum, and a total water hardness (adding magnesium and calcium) of 2 to 4 mmol/L. At water hardness above 5 mmol/L, higher incidence of gallstones, kidney stones, urinary stones, arthrosis, and arthropathies have been observed. Additionally, desalination processes can increase the risk of bacterial contamination. Other popular methods for purifying water, especially for local private supplies are listed below. In some countries some of these methods are also used for large scale municipal supplies. Particularly important are distillation (de-salination of seawater) and reverse osmosis. Boiling: Bringing it to its boiling point at 100 °C (212 °F), is the oldest and most effective way since it eliminates most microbes causing intestine related diseases, but it cannot remove chemical toxins or impurities. For human health, complete sterilization of water is not required, since the heat resistant microbes are not intestine affecting. The traditional advice of boiling water for ten minutes is mainly for additional safety, since microbes start getting eliminated at temperatures greater than 60 °C (140 °F). Though the boiling point decreases with increasing altitude, it is not enough to affect the disinfecting process. In areas where the water is “hard” (that is, containing significant dissolved calcium salts), boiling decomposes the bicarbonate ions, resulting in partial precipitation as calcium carbonate. This is the “fur” that builds up on kettle elements, etc., in hard water areas. With the exception of calcium, boiling does not remove solutes of higher boiling point than water and in fact increases their concentration (due to some water being lost as vapour). Boiling does not leave a residual disinfectant in the water. Therefore, water that is boiled and then stored for any length of time may acquire new pathogens. Granular Activated Carbon filtering: a form of activated carbon with a high surface area, adsorbs many compounds including many toxic compounds. Water passing through activated carbon is commonly used in municipal regions with organic contamination, taste or odors. 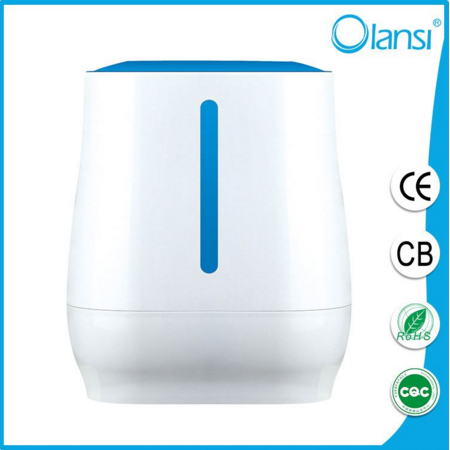 Many household water filters and fish tanks use activated carbon filters to further purify the water. Household filters for drinking water sometimes contain silver as metallic silver nanoparticle. If water is held in the carbon block for longer period, microorganisms can grow inside which results in fouling and contamination. 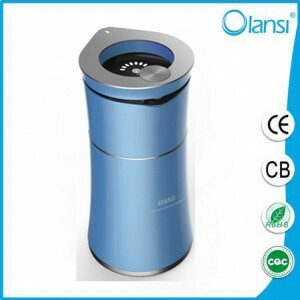 Silver nanoparticles are excellent anti-bacterial material and they can decompose toxic halo-organic compounds such as pesticides into non-toxic organic products. Distillation involves boiling the water to produce water vapour. The vapour contacts a cool surface where it condenses as a liquid. Because the solutes are not normally vaporised, they remain in the boiling solution. Even distillation does not completely purify water, because of contaminants with similar boiling points and droplets of unvapourised liquid carried with the steam. However, 99.9% pure water can be obtained by distillation. Reverse osmosis: Mechanical pressure is applied to an impure solution to force pure water through a semi-permeable membrane. Reverse osmosis is theoretically the most thorough method of large scale water purification available, although perfect semi-permeable membranes are difficult to create. Unless membranes are well-maintained, algae and other life forms can colonize the membranes. The use of iron in removing arsenic from water. See Arsenic contamination of groundwater. Direct contact membrane distillation (DCMD). Applicable to desalination. Heated seawater is passed along the surface of a hydrophobic polymer membrane. Evaporated water passes from the hot side through pores in the membrane into a stream of cold pure water on the other side. The difference in vapour pressure between the hot and cold side helps to push water molecules through. Desalination – is a process by which saline water (generally sea water) is converted to fresh water. The most common desalination processes are distillation and reverse osmosis. Desalination is currently expensive compared to most alternative sources of water, and only a very small fraction of total human use is satisfied by desalination. It is only economically practical for high-valued uses (such as household and industrial uses) in arid areas.